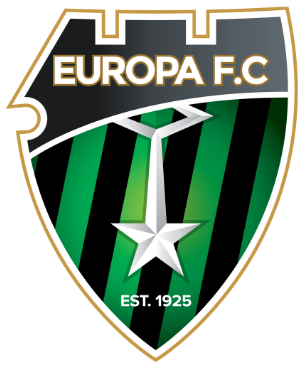 Europa FC was founded in 1925 and was continuously active up to 1970. It merged with College FC in the 1980s, going by College Cosmos until 2013, and in 2014 split again, changing it’s name from College Europa back to Europa FC, while College 1975 entered the Gibraltar Second Division. The name change was cleared by UEFA and the Gibraltar Football Association that has granted back the honours the club lost when it folded initially. 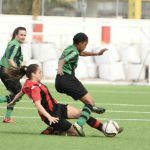 Europa FC plays in the Gibraltar Premier Division, the top tier of football in Gibraltar, a football league established in 1905 by the Gibraltar Football Association (GFA) – itself one of the oldest associations in the world, founded in 1895. It originally contained eight member clubs, but it has grown over the years to the current ten members. By virtue of Gibraltar’s entry to UEFA at the XXXVII Congress held in London on 24 May 2013, Europa FC participated in the Europa League for the first two seasons since Gibraltar was granted admission to European competition. The club won the domestic treble in 2016/17, entering the Champions League qualifiers for the first time. Despite beating Welsh Champions The New Saints in the first tie, two sendings-off saw Europa FC suffer a ‘home’ defeat (held in Faro, Portugal) after extra-time. The club is represented at every level of football competition on the Rock, while also having basketball, netball, Subbuteo and athletics teams.